ABK Biomedical Incorporated is a medical device company developing products to simplify clinical procedures performed by interventional radiologists. The company’s lead product, OccluSystem delivers novel radiopaque embolic agent with improved visibility during embolization for improved safety and ease of use. 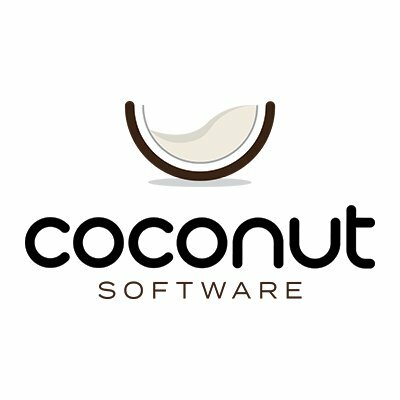 Coconut Software is an innovative web-based company that is poised to dominate the Enterprise Customer Engagement space. Large corporations and financial institutions have a huge problem. They have no way to allow their customers to book online, and with that, they have to manage staff scheduling and resources. Corporations have reached out to Coconut Calendar. Approximately 95% of their customers have reported an increase in money and a decrease in time. While others have chosen to use it as an internal resource to manage staff and resource schedules. Curatio is the world’s first social health prescription. Curatio’s mobile health platform uniquely combines personalized content and private peer support with daily disease management tools that lead to better health outcomes. The award-winning Curatio team has been internationally recognized for its innovative technology and business approach. Defyrus is a private life sciences biodefence company that collaborates with public health agencies and military R&D partners in the United States, United Kingdom and Canada to develop and sell broad spectrum anti-viral drugs and vaccine system as medical countermeasures to bioterrorist threats and emerging infectious diseases. Golden Health Care Inc. (GHCI) is the largest private provider of long-term care facilities in Saskatchewan with 7 facilities currently in operation. PIC is a partner with GHCI and other investors in the 7th facility called Diamond House, a 100 room assisted living and level 1 to 4 personal care home located in Warman. Diamond House opened in September of 2016. The GHCI successful delivery model provides care home residents with a home-like, caring family atmosphere designed to enhance their well-being and sense of self-worth. CPG-1 LP is a fund focused on the consumer packaged goods sector, targeting investment in food, beverage, health, wellness and beauty products. The fund is targeting 15-20 portfolio companies, some of which will come through the District Ventures accelerator program. Arlene Dickinson is the CEO and visionary for District Ventures. She is the Chair of Venture Communications Ltd., one of Canada’s leading independent marketing firms, and YouInc, a 20,000 member strong platform for entrepreneurs. EcobainNaturals is an indoor vertical hydroponic greenhouse that utilizes state-of-the art technology to grow high quality living herbs including basil, dill, cilantro and mint, as well as specialty organic microgreens for the grocery and foodservice markets. Ecobain’s fresh living herbs are seen on major retailers’ shelves such as Federated Co-op Ltd., Sobeys, Safeway and several other retailers across the Prairie Provinces. Exaltexx Inc. is a chemical distribution and technology commercialization company. They target the removal of paraffin deposits in oil and gas operations using artificial maturing agent (AMA). Their chemicals, using a patent-pending technology, react differently with oil and gas unlike anything currently available. Exaltexx Inc. prides itself in offering safer alternatives to conventional oilfield products, which is why their products and technologies decrease the impact on the environment while reducing the risk to the people who handle them. G-Mac’s AgTeam is an independently owned crop input retailer that provides exceptional agronomic services. 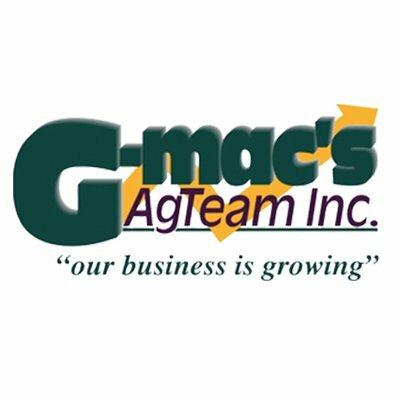 Founded in 2000, G-Mac’s AgTeam has 10 retail locations in West Central Saskatchewan with the corporate head office in Kindersley. G-Mac’s AgTeam’s solid reputation and high degree of success is based on partnering with customers to identify their needs, establish goals and create unique customized solutions. HeartHero is on a mission to save millions of lives from Sudden Cardiac Arrest (SCA), which claims over 350,000 lives annually in the U.S alone (American Heart Association, 2017). They are revolutionizing the Automated External Defibrillator (AED) by developing an ultra-portable, affordable, user-friendly AED to make this life-saving technology accessible and attractive to the consumer market, while simultaneously creating a better alternative for the existing institutional market. MicroMech was founded in response to a critical point in the automotive industry. With rapid change on the horizon, there is a need to keep up with the changing demands of consumers and the evolution of a tech driven society. MicroMech provides mobile auto service - they send qualified automotive technicians right to the consumer’s home or office, and offers all common maintenance and repair services. A world-leading human health research company focusing on the discovery and development of novel disease screening, treatment and health monitoring products to address diseases such as colon, pancreatic and ovarian cancers, multiple sclerosis and Alzheimer’s. Formerly MPT Mustard Products & Technologies Inc.
MustGrow has developed novel and proprietary solutions that utilize components of the mustard plant to provide high quality pest control to growers facing challenges associated with nematodes and soil-borne diseases. Their technology is truly sustainable, providing benefits to the grower, the environment and the consumer. The Blok (123 Ave B. South) is an innovative commercial condominium development project in Riversdale consisting of a unique building structure made up of boxes, squares and blocks. Main floor owners will revel in the mill of the courtyard atmosphere while 2nd floor and penthouse owners can be inspired from their private balconies, by views of the downtown and the beautiful South Saskatchewan River. The site is located in the Riversdale Community on Avenue B, in between 21st and 22nd Street West. The Company is a TSXV-listed real estate issuer in the business of identifying and acquiring real property interests consistent with its investment policy. It seeks to create and grow a portfolio of income producing, stabilized real estate assets in the United States. The Company’s strategy is to lever its existing contact base to grow the business. Stellar has strong leadership that will build on their collective history in the Electrical Integrator and Power Quality electrical systems industry. The company has built a reputation throughout Western Canada as well as internationally, for providing Yaskawa variable frequency drives and industrial motor control equipment to industries such as mining, oil and gas, forestry and municipal water treatment facilities. in 2018, Verdient Foods will open a state-of-the-art new pulse food processing facility in Vanscoy, Saskatchewan. Once fully operational, the 160,000 metric-ton facility will become the largest organic pea protein fractionation facility in North America. Verdient Foods’ focus is value-added processing of proteins, starches and fibres extracted from Saskatchewan-produced pulse crops using a dry fractionation process. Golden Opportunities Fund Inc. (“Golden”) led a major transaction to complete the management buyout of Warman Home Centre and its divisions. PIC partnered with Golden and other leading institutional investors including Lex Capital Partners LP and Hathersage Holdings Inc. Warman Home Center is a leader in the building supplies industry including 5 divisions: Warman Metals, Warman Truss, Warman Cabinets, Warman Homes, and Warman Home Centre. PIC invested in the Westcap MBO Investment LP Fund I and II (Westcap MBO). Both funds are managed by saskatchewan’s leading private equity fund manager, Westcap Mgt. Ltd. The Westcap MBO Fund I is now fully invested in the following companies: Dyna Holdings LP, H.J.R Asphalt Partnership, Modular Driven Technologies, and Waman Home Centre LP. The Westcap MBO Fund II is actively seeking opportunities and will be closing on several within the upcoming year.